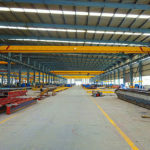 2 ton overhead crane belongs to light duty overhead crane to carry small and light loads in factory, warehouse, shop, and workshop of assembly lines. 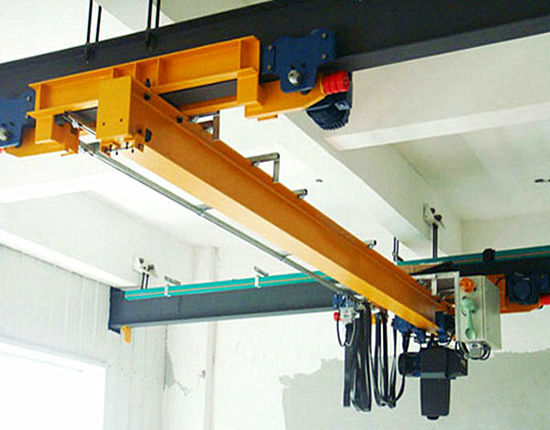 The design of 2 ton crane generally falls into single girder overhead crane due to its small lifting requirement. Besides, according to the structure of your existing building, top running crane and underslung crane are optional to best suit your needs. Users may select either of them accordingly. The 2 ton bridge crane we manufacture is also available in multiple types, suitable for large varieties of applications for both common and special uses. If you are intended to buy an overhead crane 2 ton, please consult our sales representative for more information. LD single girder overhead crane. 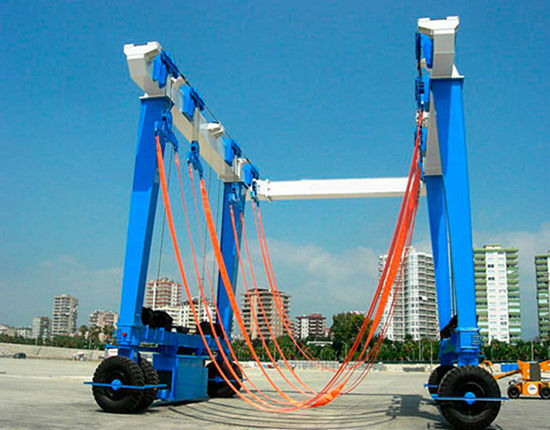 This crane is the most common type of overhead lifting equipment for small workload, which is usually equipped with CD1 or MD1 electric hoist. The LD 2 ton crane is designed for a general purpose with small work duty, and it cannot be used in the working environment with flammable, explosive or corrosive media. 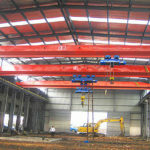 Due to the small capacity and single girder design, it cannot undertake constant and frequent working requirement. 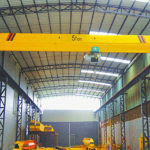 LDY overhead crane. This type of 2 ton overhead crane is specially designed for the metallurgical industry to lift hot molten metal, so thermal insulation measures should be taken at the bottom of main beam, motor and cables so as to protect the crane and prolong the service life as well. This over head crane is also known as foundry crane, equipped with YHⅡ metallurgy electric hoist. LB overhead bridge crane. 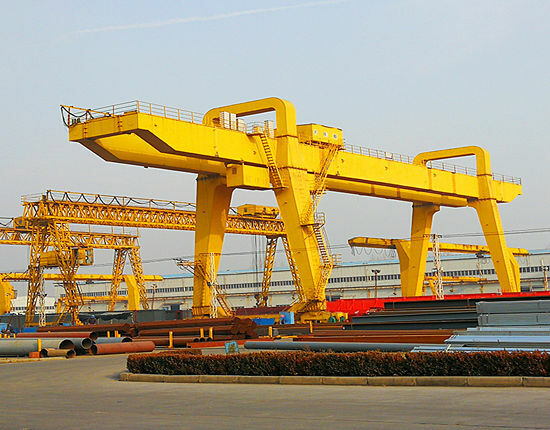 Both LD, LDY and LB cranes are similar in structure except for the adoption of different electric hoists. This crane overhead is equipped with HB explosion proof electric hoist, which is suitable for occasions with flammable and explosive gas or dust. LDZ bridge crane. This type of 2 ton crane is actually a LD overhead crane equipped with grab hoist trolley. 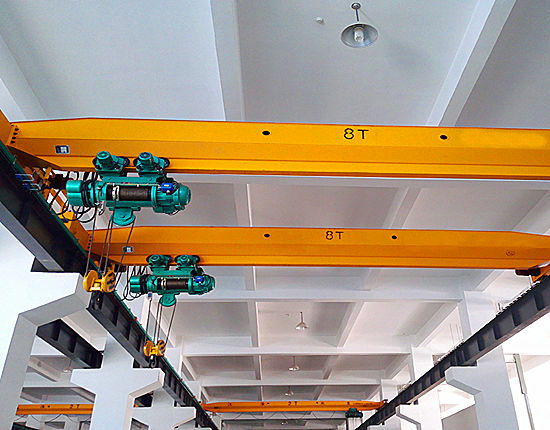 It is also a kind of double hoist overhead crane in that one hoist is used for performing liftingmovement and the other is used for controlling the grab to open and close. Due to the grab design, the 2 ton bridge crane is used for lifting bulk materials. LX single girder bridge crane. 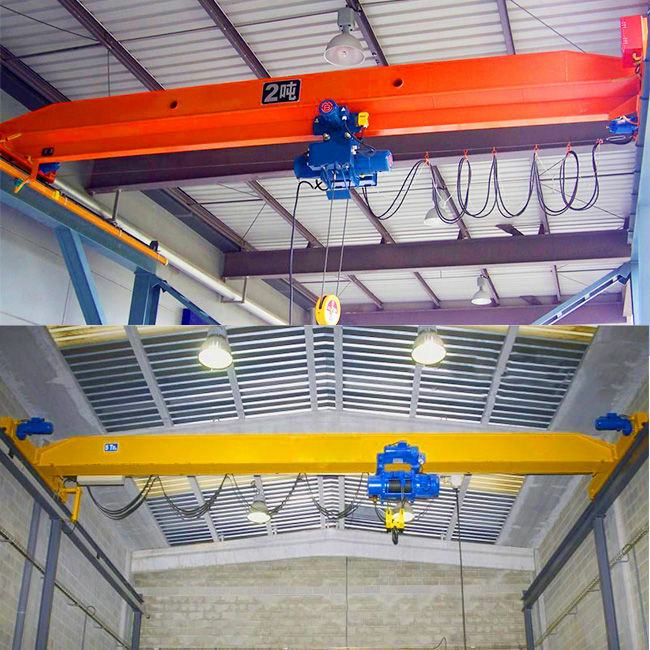 Known as under running crane or underhung crane, this lifting equipment is adopted when there is inadequate building height or no support columns in your factory, thus it makes use of building ceiling structure to hang from it in order to achieve a greater lifting height. The bridge travels at the bottom of runway beam. HD European type overhead crane. 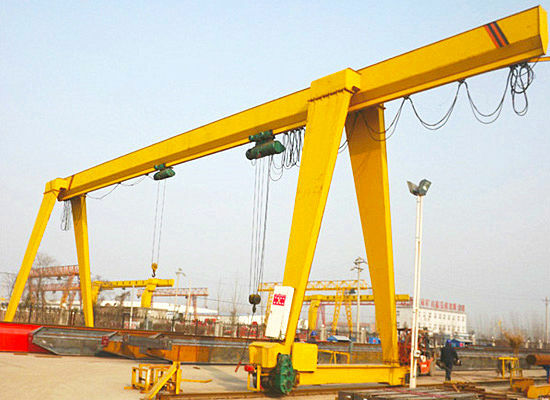 This type is a kind of high standard and advanced overhead crane with unique design concept. It adopts ND European electric hoist and high quality domestic or imported motors, such as ABM and SEW, which makes it much more expensive than the LD crane. 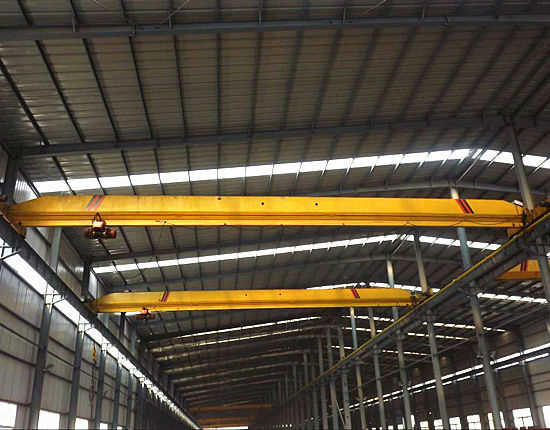 Remarkable features of the overhead crane equipment are small size, compact structure and accurate positioning, effectively improving the working efficiency and increasingworking space of the existing building. 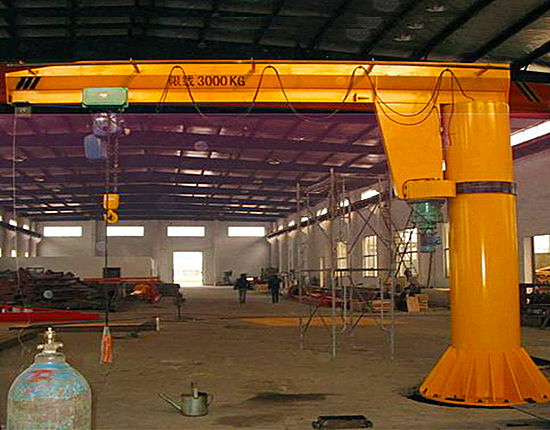 In general, the 2 ton overhead crane has rather low cost, wide application, convenient installation and maintenance. The diverse types above are typically the same in composition and structure except for the configuration and usage. Therefore, there is no better or worse equipment among these cranes in terms of quality, and the most suitable crane is the best for you. We have 2 ton overhead crane for sale, and contact us now to get the most appropriate overhead crane solutions for your applications. The 2 ton overhead bridge crane we manufacture is commonly equipped with electric hoist so as to help improve the working efficiency and productivity in your factory. 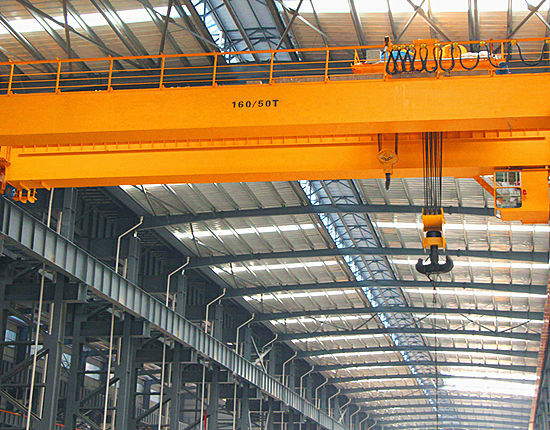 According to different applications of overhead cranes, we provide the corresponding electric hoist. 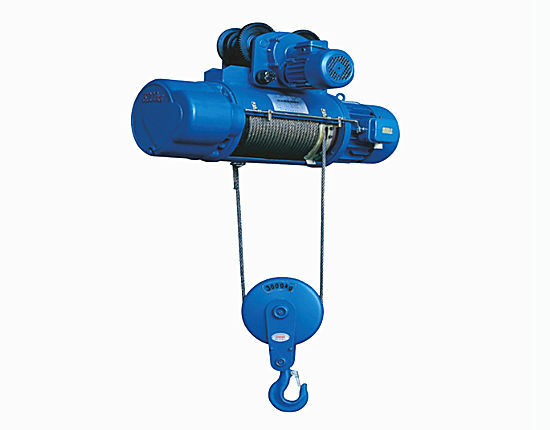 In addition, wire rope hoist and chain hoist are available to meet various requirements. 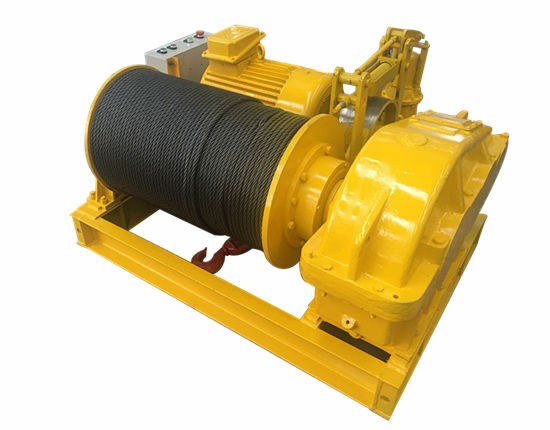 In fact, the electric wire rope hoist is still the best option for the most of applications and widely adopted in many industries. However, based on economical considerations, electric chain hoist is a better choice for 2 ton overhead shop crane or workstation crane which requires a light capacity and repetitive lifting. There are some other factors you need to consider when selecting an electric hoist. You need to think about the lifting frequency of your overhead crane hoist. 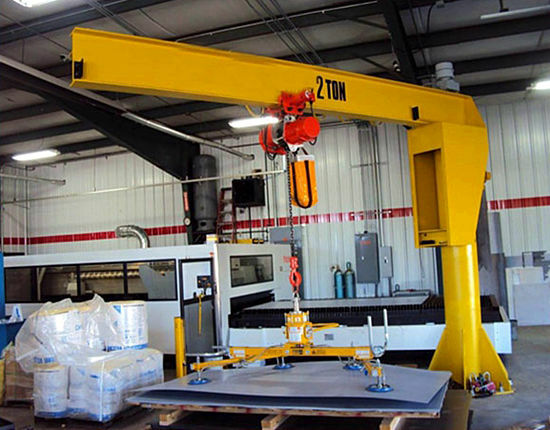 Considering the fact that the lift of loads may be occasionally beyond your standard daily workload, you should select overhead crane and hoists with a little bit larger capacity than that you have expected. Besides, think about your future need if necessary. A 2 ton overhead hoist may be enough for your production line at the moment, but you will never know what may change in your production line in the near future. Maybe a larger capacity is required for your business. Thinking ahead can help save a lot of costs for yourselves. Ellsen is one of China leading overhead crane manufacturers and suppliers, specialized in manufacturing material handling equipment and solutions for many years, including bridge crane, gantry crane, jib crane, electric hoist and winch. We have 2 ton crane for sale, and also provide other capacities including 10 ton, 20 ton, 50 ton, 100 ton and more according to your requirement. If you have not determined which crane is the best option, come to Ellsen, and we will help select the most proper configuration and specification for your application. Want to get 2 ton overhead crane prices? Contact us today, and we will offer you a best quotation with competitive price!